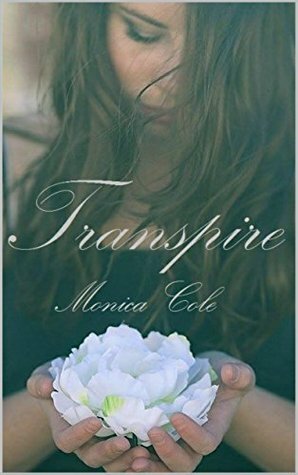 *Transpire is a full length, stand alone novel. Everyone has a past. Some run from it. Others embrace it. Me? I haven't done either. My past. It cut me open. A wound I've carried around for the last two years. One I'm afraid will never completely close. When I receive a phone call from my brother asking me to come home for the summer, I find myself dancing hand in hand with the ghosts that haunt me. A reminder of why I left. The main reason the past remains festered on my heart. The reason I can't move on. I knew I'd have to face my past eventually. But I wasn't expecting this. All I know is that wounds only last so long. It's just a matter of time before I find out if they'll kill me. Or if I'm strong enough to let them scar. I am pretty sure I went through a whole box of tissues reading this . An amazing book about moving on from the past and looking forward to the future as hard as that is. When your literally on the edge wanting to jump and leave everything behind when one person changes that. I'm not sure how Elle got through so much heartache because dear god was there a lot of it!!! In reality, she was much much stronger than she thought she was..
Talk about amazing endings? I did not expect what happens at the end and I was blown away by it. This was one of the best stories I've read in awhile about love and loss and learning to let go and move on. Canyon is amazing and the reason he let Elle walk away those couple years ago literally had me sobbing like a baby! It was so well thought out .I will be recommending this book to everyone.